1. From Abraham to the Exodus (490 Years). From Abraham's birth until the giving of the Law at Mount Sinai and the beginning of a new era (Galatians 3:17) are 505 years (Note: This time frame is obtained by simply adding the numbers of years given in Scripture). However, the 15 years when Abraham had lapsed from faith in God's promise and went in to Hagar (Genesis 16:3) until the promised seed was finally born (Genesis 21:5) must be deducted from this, leaving 490 years during which Abraham and his descendants were abiding under the covenant promise. 2. From Exodus to the Dedication of the Temple (490 Years). From the giving of the Law at Mount Sinai until the dedication of Solomon's temple are 601 years. However, the 111 years under the Judges during which God withdrew His protection from Israel must be deducted from this, once again leaving 490 years. 3. From the Temple to Nehemiah’s return (490 Years). From the dedication of the temple in c. 1000 BC to Artaxerxes' commandment to build Jerusalem in 444 BC (Nehemiah 2:18) are 560 years. However, the 70-year captivity in Babylon must be deducted from this, leaving c. 490 years. 4. From Nehemiah’s return to Israel's final establishment in the millennial kingdom (490 Years). The fourth cycle is actually stated in Scripture in the great "seventy week" prophecy of Daniel 9:24-27. The opening words of the prophecy make this clear: “Seventy weeks have been declared for your people and your holy city…” (Daniel 9:24). The phrase "seventy weeks" literally means in Hebrew “70 sevens” (70 x 7), and the context demands that the sevens be reckoned in years—seventy sevens of years, which would be a total of 490 years. Furthermore, Daniel’s prophecy states that the 490 years are divided into three periods. After the first two periods (69 weeks or 483 years), the cycle terminates in the crucifixion of the Messiah (Daniel 9:25-26) as God breaks His covenant relation with His people. The cycle starts again when the last seven-year period begins—the so-called "70th week of Daniel" (Daniel 9:27; Revelation 6-19). Thus, Daniel's prophecy is a major confirmation that God determines and measures the redemptive history of Israel in cycles of 490 (70 x 7) years! In fact, it was this prophecy that originally led Sir Edward Denny to the discovery of the 490 year cycles. According to the prophecy, from the command to rebuild Jerusalem there would be seven weeks (49 years) and sixty-two more weeks (434 years)—a total of 483 years, or 173,880 days (using 360-day prophetic years)—until the Messiah would show up, i.e. 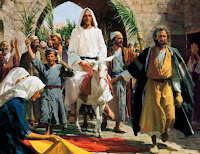 Jesus’ triumphal entry into Jerusalem (which is when Jesus publicly declared that he was the Messiah). We know from history that the command to “restore and rebuild Jerusalem” was given by King Artaxerxes of Persia to Nehemiah on March 5, 444 BC (Nehemiah 2:1–8). 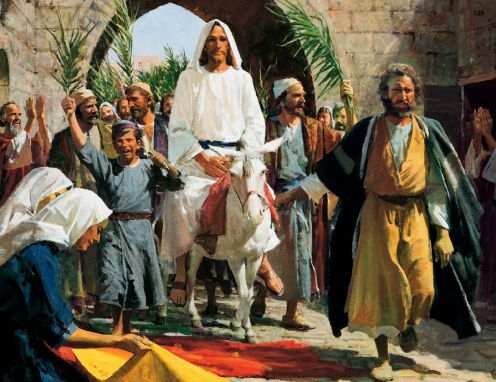 Adding 173,880 days to March 5, 444 BC gives March 30, AD 33—the exact date of Jesus' triumphal entry into Jerusalem! May I remind you that Jesus made his “triumphal entry” into Jerusalem 4 days before His crucifixion (Matthew 21:1-9) and 4 days after March 30, AD 33 is Friday April 3, AD 33—which just so happens to be the most likely date for the crucifixion (see: Evidence for Jesus' Crucifixion on April 3, 33 AD). What a remarkable fulfillment of prophecy! Have you noticed that the events occurring after 70-year intervals are restoration-themed? Given that the number 70 symbolizes restoration in the Bible, the odds against this occurring by chance are astronomical, suggesting divine orchestration. Have you noticed that all these significant dates end in a "7"? Once again, the odds against this occurring by chance are astronomical, suggesting divine orchestration. 1. The 19th book and 48th chapter in the Bible (Psalm 48) describes the rebirth of Israel. It's also interesting that this chapter has 14 verses. 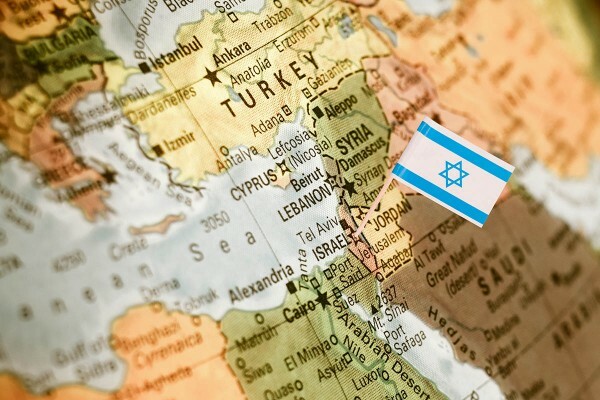 Is it a coincidence that the rebirth of Israel took place on May 14th? 2. Not only is Psalm the 19th book of the Bible, but it is also the 48th book from the end of the Bible. This is interesting, considering the book of Psalms is right in the CENTER of the Bible and Israel is CENTRAL to God's redemptive plan. 3. If you add 19 to 48 (19 + 48) you have 67. Is it a coincidence that the next most significant prophetic event since New Testament times, the liberation of Jerusalem, happened in 1,967? 4. Gold is heated to exactly 1,948 degrees Fahrenheit during the refining process. Interestingly, Scripture compares Israel's deliverance during Jacob's trouble to the refining and purification process of precious metal (Zech. 13:9). 6. The number of years from the first man, Adam, to the first Hebrew, Abraham, is easily determined to be 1,948 years by simply adding up the years found in Genesis chapters 5 and 11. Coincidently, from the second man Adam, Jesus Christ (1 Cor. 15:45), to the rebirth of "Abraham's seed" (Israel) as a nation, there were also 1,948 years! The list of patterns, "coincidences", and signs in Israel's history defy probability and point to design. We should take notice and make our decision whether to believe the Bible, and therefore our Creator's story of love and salvation for a human race in need of saving! Christ is knocking at the door of your life even now! "Behold, I stand at the door and knock." (Rev. 3:20.) "What will ye do with Jesus?" (Matt. 27:22.) Will you RECEIVE Him (John 1:12), or will you REJECT Him? (John 12:48.) Your decision will determine your eternal destiny!